If you have avoided purchasing a chainsaw due to cost, you may want to reconsider your decision surrounding this. With the many available models made by a variety of different brands, you have a very decent lineup of inexpensive choices to fit almost any budget. 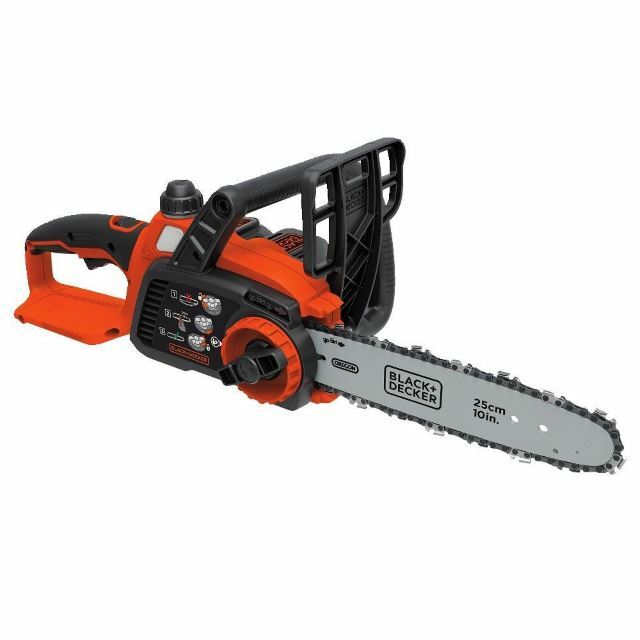 Your best chainsaw under $200 provides a large selection of both gas and electric powered products to make short work of any sort of job you have it in mind for. Cheap doesn’t have to define a lack of quality, and some of our best cheap chainsaw picks are some of the most powerful chainsaws currently available for homeowner use. Personally, I have been incredibly impressed in the past with some of the less expensive saws bought on a tight budget. Below I’ve provided some popular value products as an example of the types of choices you have available to you. 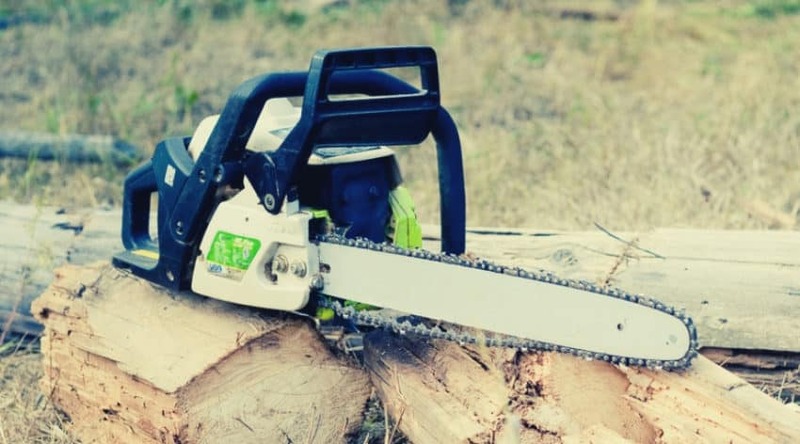 What I’ve learned through the years is that although quality chainsaws typically have a higher price point- long-standing brand names and saw size is often more influential on overall cost when compared to similar products. Plus, more expensive saws are almost always made specifically for large jobs that require a large chain, a powerful motor, and are almost exclusively used on a regular basis for heavy duty cutting. Rarely do homeowners have a workload such as this, placing them in a much less expensive range of cost for an equally well made saw. Because of this, you can really have a price point of below $200 for a durable gas powered saw, and below $100 for an electrically powered saw without sacrificing quality or power for the jobs you need to be done. 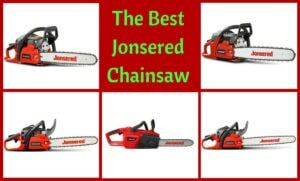 Smaller, less powerful chainsaws are going to be the less expensive choice when choosing a gas saw model. 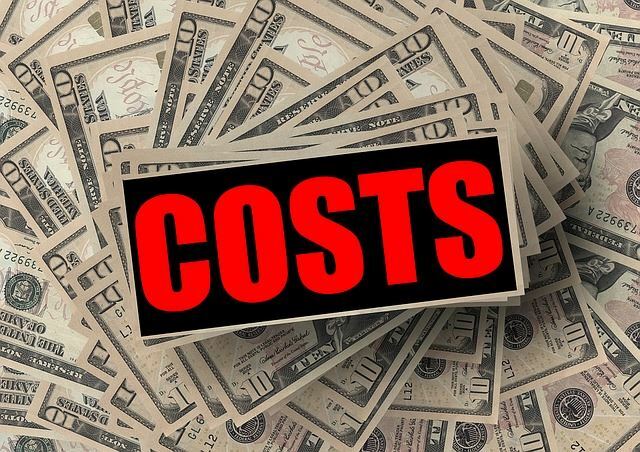 Costs surrounding electric saws are going to be more variable as corded versions are less expensive as mentioned above, and typically more powerful. There are some exceptions to this rule, however, especially as batteries have shrunk in size, and increased in power through the years. If you are interested in an electric saw, you will want to do some product comparisons before committing to a purchase. Wear the correct safety gear. This includes eye and ear protection, gloves, boots, and kevlar chaps that are cut resistant and will jam a blade that it comes in contact with. Stand in a boxing stance with your dominant foot forward, to the side of the cut, and be sure you are well balanced. Keep both hands on the saw, and never take your eyes off the blade while you cut. Plan your cut and know where the bar will exit the cut. It isn’t where you start, it is where you finish that is important. The top of your chainsaw bar at the tip is called the chainsaw kickback zone. Because of the rotation of the chain, if you suddenly come in contact with a hard object you risk allowing the bar to kick back towards you. Always be mindful of this zone as you cut, even if you have special chains and features to help keep this from happening, and do not stand directly behind the blade. Remember, cheap does not equate poor quality. 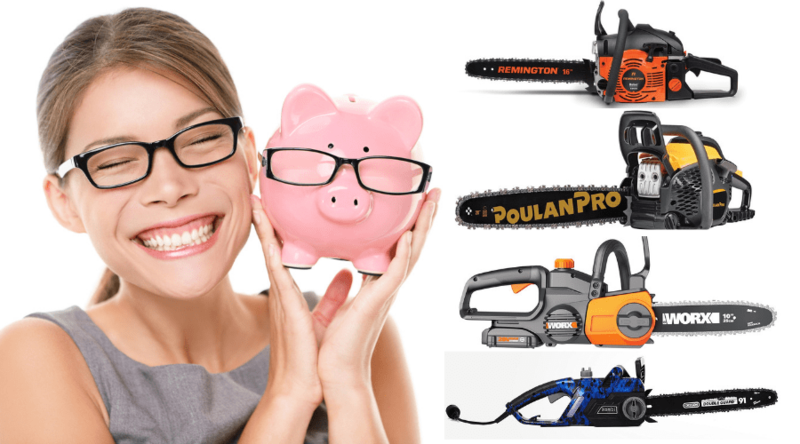 With the many products available below the 200 dollar price point, you will want to have a good idea of your needs and knowledge of chainsaws to make the best-informed decisions prior to purchase. What do you plan to use the chainsaw for? Obviously, if you have a budget you need to stay within, you will need to weigh the use of the product you are interested in against what jobs you have in mind. Light, periodic cutting doesn’t require a large, expensive saw. In fact, I ended up with an electric saw simply because I didn’t want to deal with the maintenance and power of my gas saw when trimming 1 and 2-inch branches. Weighing your wants against your needs will better help you balance your finances surrounding this. Have you chosen multiple saws to compare? Always chose a few different products to compare before making a choice. There will always be enough differences to force you to weigh your decisions. There have been many times that I have discovered through using this process that I do not like any of my choices and am rushing the decision and settling. I almost always get a better overall deal by taking my time and looking for those products I truly think are best for me. Is the most affordable saw the best saw for you? You may lean away from a higher price point, but many times you may actually save in the long run by purchasing a slightly more expensive, but a better-rated product. 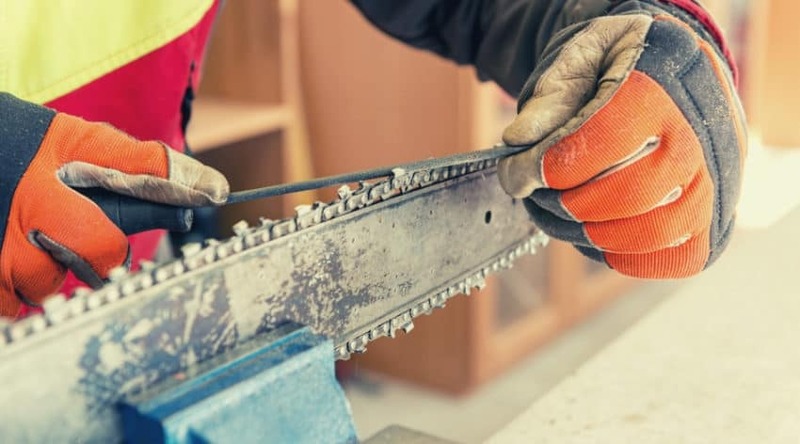 If you know you will be using a saw away from home in the future, but like the price point of a corded electric, perhaps spending a little bit of extra money now will keep you from having to buy an entirely new product for a different need later. Obviously, if you have a firm budget, the fewer choices you may have available to you. Create a flexible budget with a top number that you will not go over and a lower price point that you would like to stay at if possible. This will force you to look for deals to try and get the best bang for your buck, and allow you a bit more flexibility in the long run. I’ve gone ahead and compiled a short list of top rated saws below to showcase the different varieties and models that are available to you. These are a great little selection to help show the power and size of various products that you can choose from within various price ranges. Please be aware that these prices may fluctuate, but at the time of writing, all examples were below the $200 price point. Poulan Pro is a well-respected name in the landscaping and home property maintenance industry. 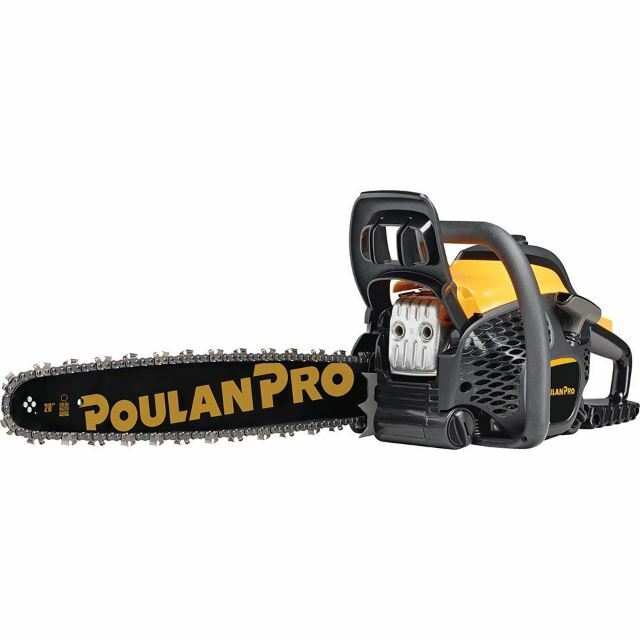 They have a built a name surrounding affordable, durable products, and their 50cc, 20-inch chainsaw is a great example of what they offer. This is a tool that can be used for some of the heaviest jobs you have for it, and the wrap-around handle allows for a secure grip to work in any condition and at any angle. Plus the OxyPower engine technology allows for a cleaner running, powerful engine with less emission- for a more environmentally friendly product. Safety features include a chain brake, and anti-vibration system, as well as a low kickback bar and chain. Easy access to filters, an easy start system, and combi tool storage allows for simple maintenance when away from your workbench. Plus, the easy start is supported by the combined choke/stop control for reliability and to avoid engine flooding. This is a durable, powerful machine build for moderate to large cutting jobs. Property owners with regular maintenance or firewood cutters can’t go wrong with a product like this. Yet another strong brand name within the landscaping industry, Remington products are made by MTD, and has a solid reputation as illustrated by their 42cc, 16-inch saw made specifically for dependable home use. Powerful and long enough to handle a heavy workload, the Remington Rebel boasts a few features for easy handling in residential situations. Easy tension control and an automatic oiler are only a few details to help you work more efficiently. The saw is equipped with a chain brake, low kickback bar and chain, balanced weight, and a 5 point anti-vibration system- all which help you work safely through your job. An easy startup and cushioned wrap-around grip provide added comfort while you work as well. It also comes with a protective case for easy storage and to help keep it clean when not in use. Perfect for suburban cutting, this is a product made with homeowners in mind. From property maintenance to firewood cutting, and everything in between, this is a good choice for anyone who needs power and comfort in a more compact saw design. The Worx name has become a recognized brand for many residential solutions in the yard and garden. 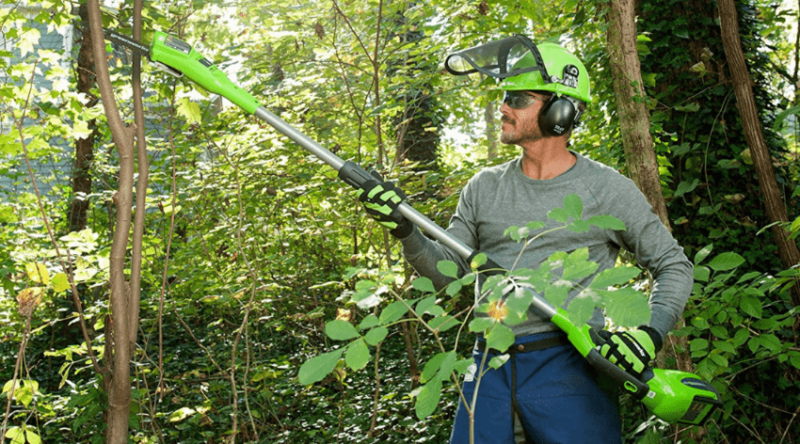 Their compact 20-volt chainsaw boasts a 10-inch chain for light to moderate work and helps trim, brush, and otherwise take care of any sort of cutting jobs you may find yourself faced with on your property. Cordless and easily transported, you can work in just about any condition with ease due to its lightweight 6 lbs heft- making it one of the most economical saws currently available. Worry-free chain tensioning, automatic oiling and the ability to transform it into an extension saw with an optional pole, this is a great tool to have access to. Safety features include a low chain and bar kickback, hand protection, and low vibration for easy use- plus the wrap-around handle allows you to get into tight reaches. It also is part of the 20 volt Auto Share Platform, allowing you to work interchangeably with other Worx products. This is the perfect light to moderate duty saw an addition to your toolbox. It is a handy homeowners tool to cut, trim, and prune your common property vegetation, and for small construction jobs. 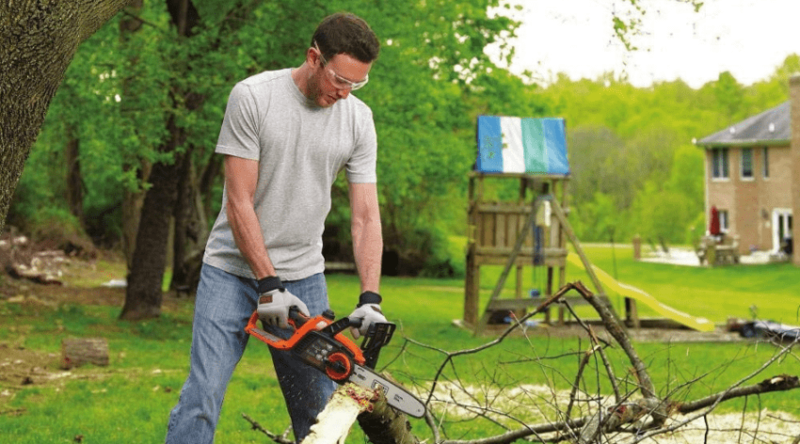 Black + Decker is known for their property management tools, and this compact, battery operated chainsaw is a popular choice for homeowner use. 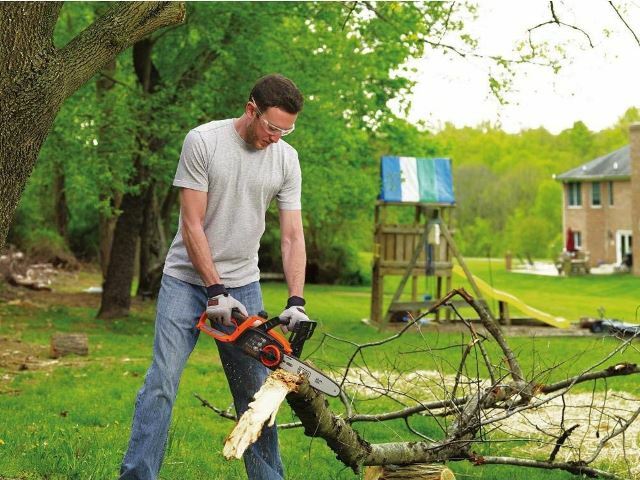 20-volt battery power keeps you working for hours on lighter cutting jobs, and the 10-inch chain makes short work of the trimming and pruning jobs you have ready for it. It also can handle the occasional heavier job with care. It comes with a tool-less chain tensioner for immediate adjustments while you work. Safety features include a low kickback bar and chain, a hand guard, and easy wrap around grip for easy use. An oiling system is included with a window as well to check oil levels prior to working. At only 7 lbs, this is one of the lightest cordless versions available and is highly portable to reach anywhere on your property. This is an amazingly powerful, small saw to grab for quick jobs in and around your house. With patience, it can easily handle heavier work, but it made specifically for dependable convenience. Zombi Power Tools are known for their innovative approaches to powerful, convenient tools. 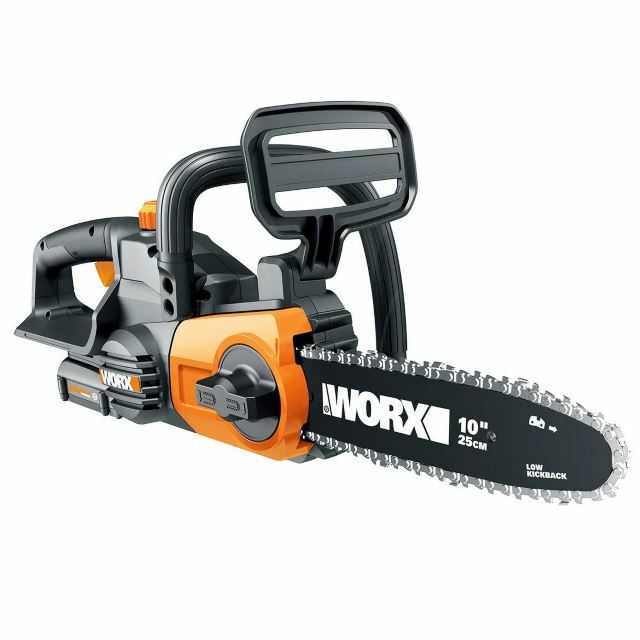 This 13 amp corded electric chainsaw has a durable 16-inch bar and is considered a powerful alternative to a 2 stroke, gas engine. The tool-less chain tensioner and self-oiling reservoir allow you to work worry free, and the handguard and wrap around handle provides easy control for comfort and safety. 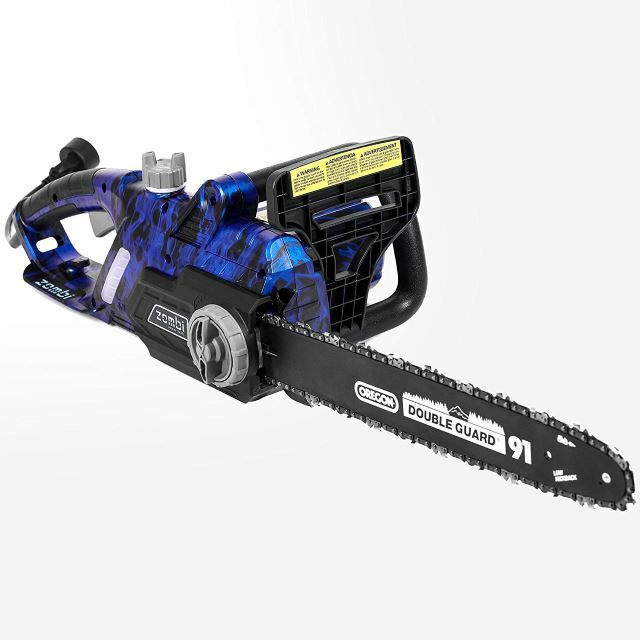 Many corded saws are much smaller than their gas counterparts, but the Zombi corded electric is comparative in size, with none of the weight, to a similar gas powered saw. At only 13.5 lbs, you can work longer and more efficiently without fatigue and can handle moderate to large jobs with ease. The low kickback bar, anti-vibration, and cord holder are all details that make it that much more comfortable to work with. This is the perfect saw for homeowners who are on a budget but needs a powerful saw that can handle heavy duty work. Although I’ve only provided a small selection of our best cheap chainsaw picks, these are a good example of the value available to you when restricted by a budget. There is no need to neglect the cutting and pruning jobs you may have to pile up due to the lack of the tool to get the job done. 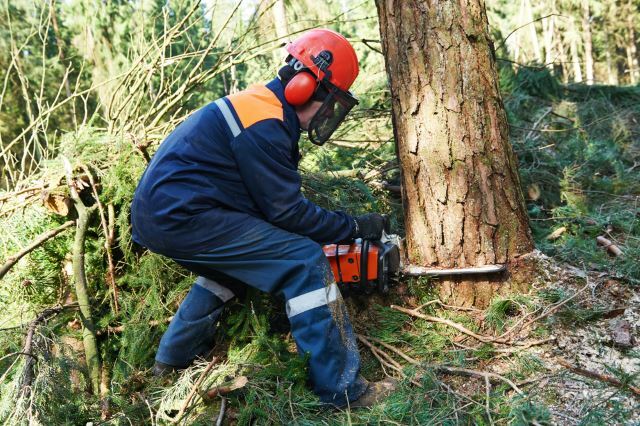 Whether you prefer or need, a gas-powered, or electric powered chainsaw for your perceived property maintenance, there is definitely more than one choice available from which to pick from. 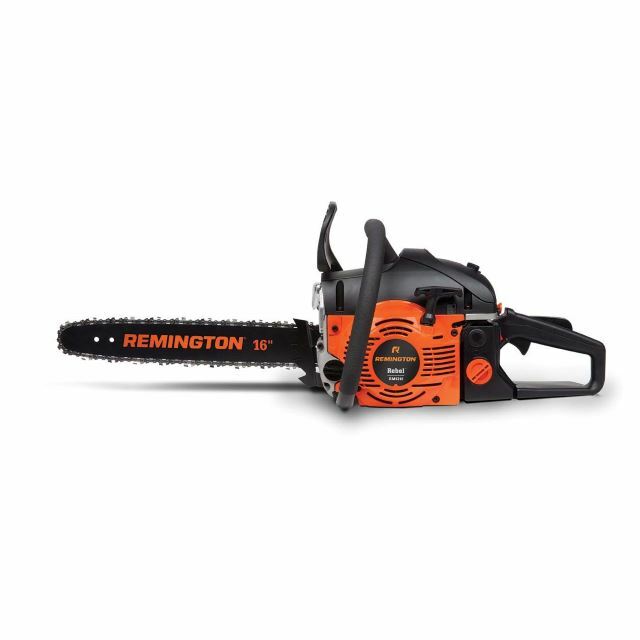 Each of the above offers excellent value, but my personal favorite is the Remington RM4216 Rebel 42cc 16-inch Gas Chainsaw due to its compact size and specific features for homeowner use. I am a fan of electric saws as well due to their surprising power, but if I had to choose a product that I know could handle everything from light to heavy cutting, the Remington would be my choice. Plus, it is not restricted by cords and can be used in any situation. If you have any questions about the products I’ve highlighted, or have a favorite cheap saw to share- please leave your comments below. And, as always, please share! Seriously? No Stihl chainsaws made the list? The MS171 is one of the best small, lightweight, low cost chainsaws made today. $179 and it will do the job day after day. I have 45 acres of wooded property that I have been using this chainsaw on for over 5 years without an issue. Your list is useless if all you’re going to do is only list chainsaws that are available on Amazon. I’m sorry, but to not even list a Stihl product, which everyone knows is the best brand in the business, is a disservice.